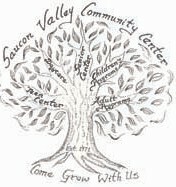 The Saucon Valley Community Center strives to serve our community with high quality services and programs. To directly help SVCC provide these experiences, a donation can be made through PayPal. Please fill out the fields below and hit “continue”. As always, thank you for your generosity. Your donation will go a long way towards making our community center successful.